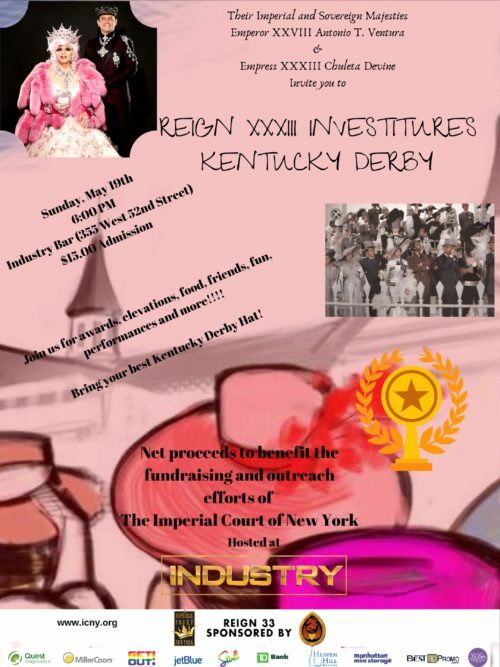 Their Imperial and Sovereign Majesties Emperor XXVIII Antonio T. Ventura and Empress XXXIII Chuleta Devine Invite You To “Reign XXXIII Investitures – Kentucky Derby”. Join us for awards, elevations, food, friends, fun, performances, and more!!! Bring your best Kentucky Derby hat! 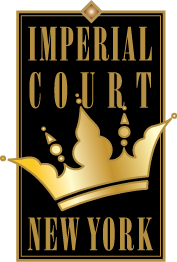 Net proceeds to benefit the fundraising and outreach efforts of the Imperial Court of New York.